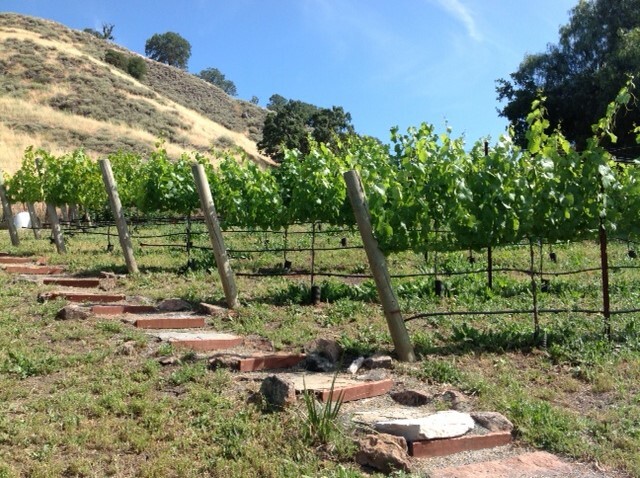 The vineyard in the spring of 2016, a lot more vine growth. The young crop was starting to show, July 1st. 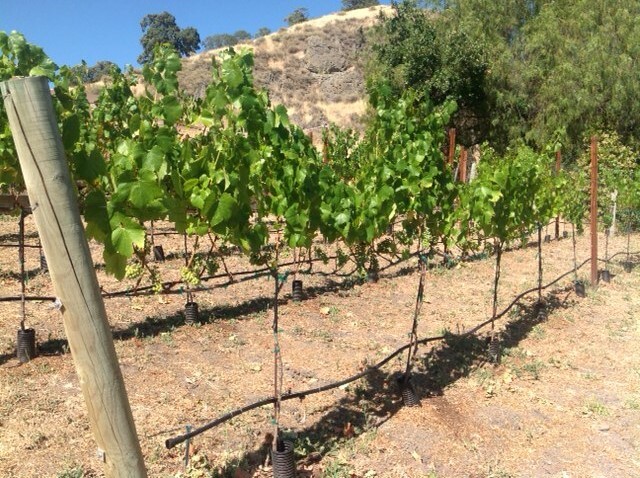 But by harvest time it was clear the SafariCreek vineyard was still young and not able to produce a crop yet.....maybe 2017??? 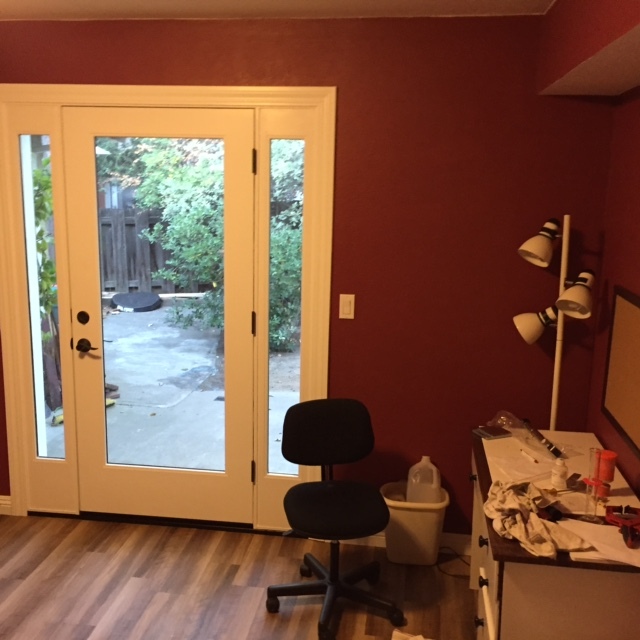 The big project for SafariCreek in 2016 was the building of a "wine" room. 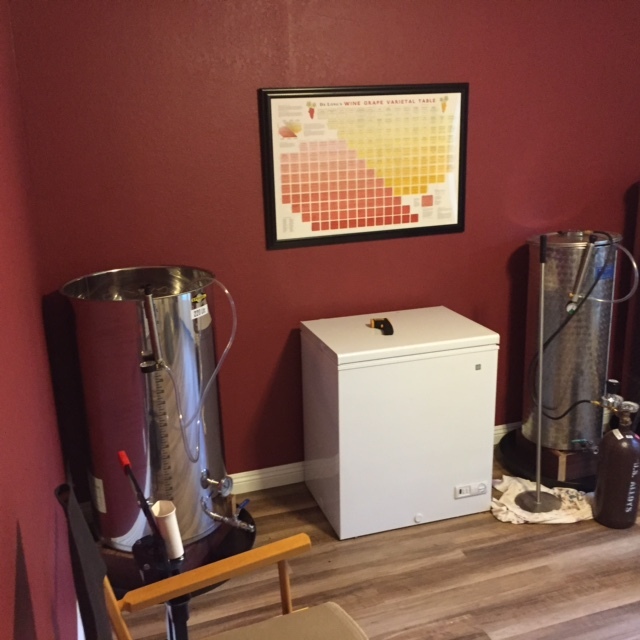 Additionally a couple more tanks were added bring SafariCreek vintage capacity to three. So now we have the original 300 liter/78 gallons, a 220 liter/58 gallons, and a 100 liter/28 gallon tanks. Which means we are now capable of doing three varietals. 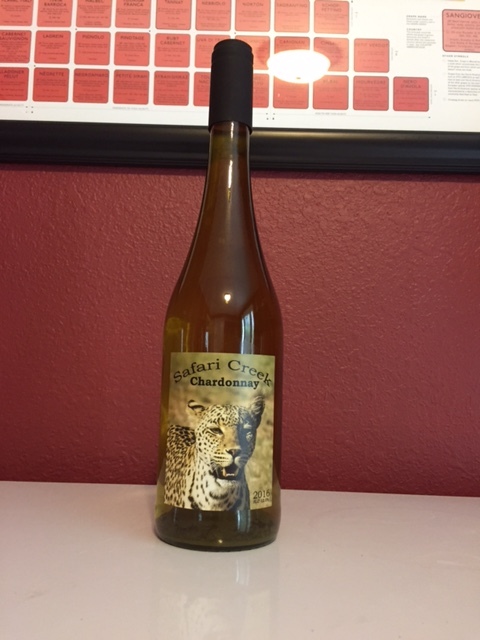 The SafariCreek 2016 vintages came from Brentwood. Travel plans required the harvest to be earlier so the extra heat of Brentwood was perfect for our timing. On August 20th we harvested 900 pounds of Chardonnay and 350 pounds of Malvasia Bianca(a very long day). Our initial quantity of Chardonnay after press was 69 gallons and 21.5 gallons of Malvasia Bianca. 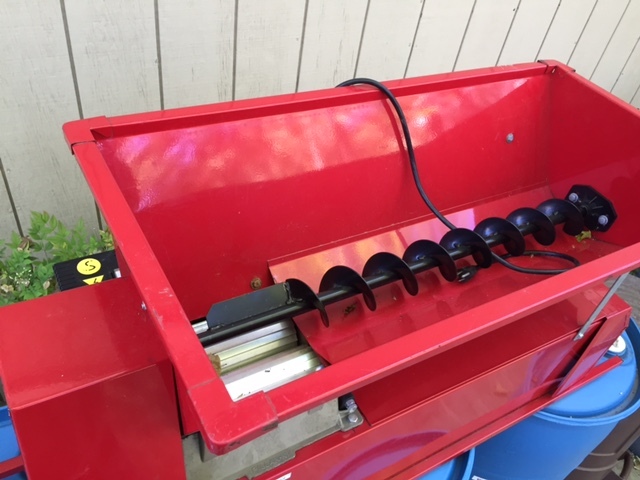 And then on August 27th we harvest 720 pounds of Syrah or about 49.5 gallons. 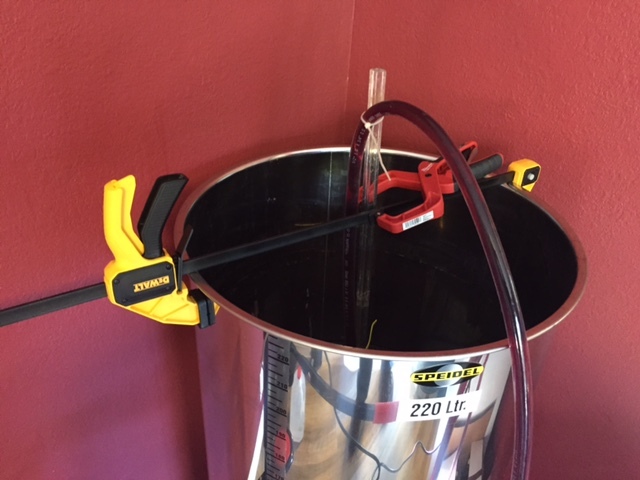 A total of 140 gallons of grape juice going into primary fermentation. 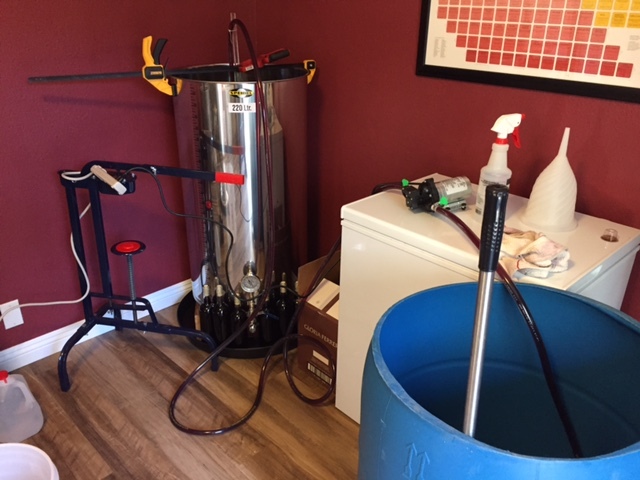 By the end of secondary fermentation we had 46.5 gallons of Chardonnay, 20.5 gallons of Malvasia Bianca and 44 gallons Syrah. Meaning 111 gallons of 2016 Safari Creek; so let the aging begin!!! 2016 is also the year of the Leopard since we had such great sightings during our February/March Safari. The bottle/image on the far right is the Chardonnay, a full view leopard that is very stately much like a Chardonnay. 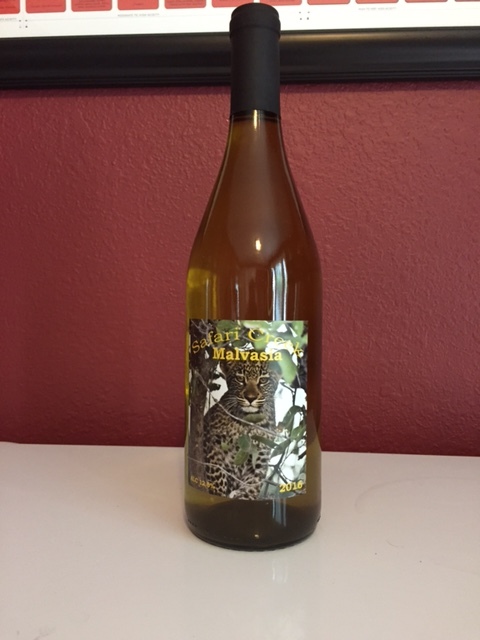 The next image is a leopard cub which best represents a less known and revered wine, the Malvasia Bianca. 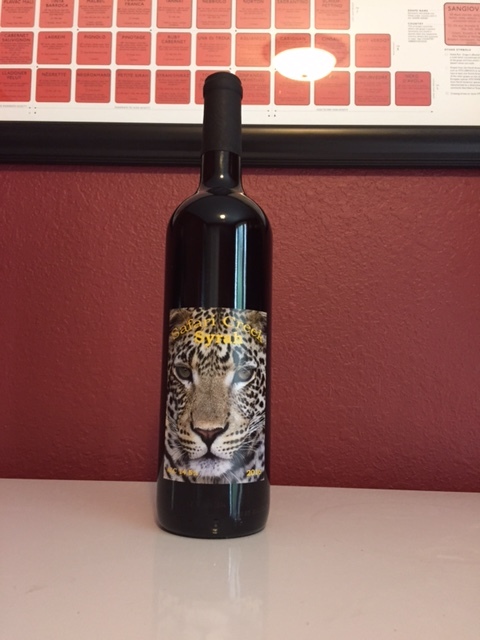 Finally the last bottle/image is a head only view of a leopard to represent the boldness of a Syrah. 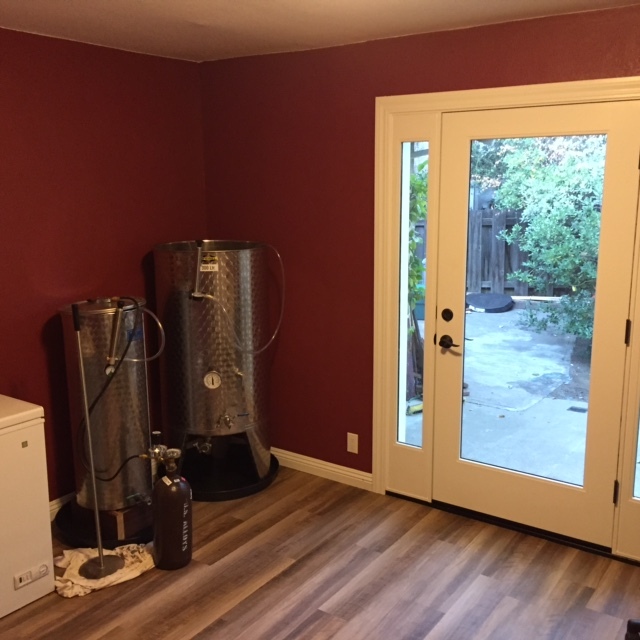 And here are a few images depicting our working 2016 SafariCreek Winery!! !